An important stage, when it comes to creating a PPC campaign, comes with understanding what the rest of your competition are doing, and how best to compete against them. 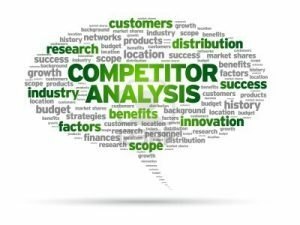 Competitor analysis should always be conducted and allows you to maximize the potential of your own campaign, if you know what competitors are doing and how they are trying to differentiate themselves from the rest. With this, here are 4 steps you should be looking to complete as part of your competitor analysis in PPC. Right at the start, the first thing you need to do is understand just exactly who are your competitors. This can be done with searching relevant keywords that you are likely to bid against in your own campaign. This will help to see who has campaigns in PPC, as well as the organic results. Try and use as many keyword searches as possible so that you gain the full picture of all your competitors (since some won’t always appear for certain keywords, if they chose not to bid for it). What Type of Competitors are They? From understanding this, you can better understand how your competitors are using PPC to profit, based on their business model. This will also help you understand the type of CPC they will be adopting for PPC (e.g. if the conversion is worth lots to them, the CPC will be higher). This is important, since based on what business model your competitors have will cause how you compete against them to vary too. For example, if you sold earphones, you wouldn’t want to compete against Apple and all its products: just the Air Pods. If you was an analysis website of a book, you wouldn’t want to compete against websites trying to sell the book etc. It is important to understand why you even have competitors to begin with. What are the competitors offering that is filling a gap in the market? How are you different to your competitors (what gives you the unique selling point)? If there are a lot of competitors, then it signals that there is a lot of potential to profit from such a sector. If there isn’t, the opposite can apply. From identifying what makes you stand out, you should see no reason to not use it to your benefit in your PPC campaign, helping to attract web users into clicking onto your advert and converting for you, however that might be. Is It Wise To Buy Twitter Followers?